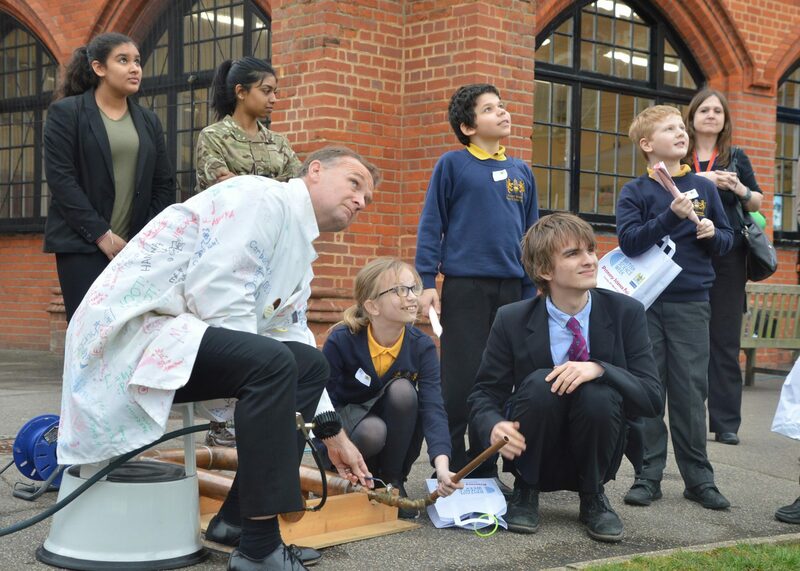 The Bancroft's Primary Science Fair saw 175 excited year 5 and 6 visitors from seventeen local primary and prep schools join us to mark British Science Week. This year the theme was “Journeys” and our Lower Sixth were particularly inventive in their interpretation of this theme for the various stands in the Great Hall exhibition zone. There were literal journeys looking at transportation, journeys into space, journeys through our body and the journey of pregnancy. The novel approaches of many stands made the job of our visiting judge, Dr Swinbank, formerly of the University of York Science Education Group and BRAGG Medal winner, much harder. 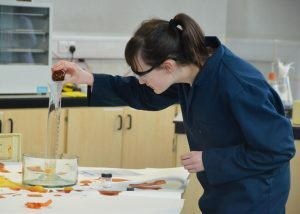 Dr Swinbank said, “As in previous years, the Science Fair was excellent and I really enjoyed the day. 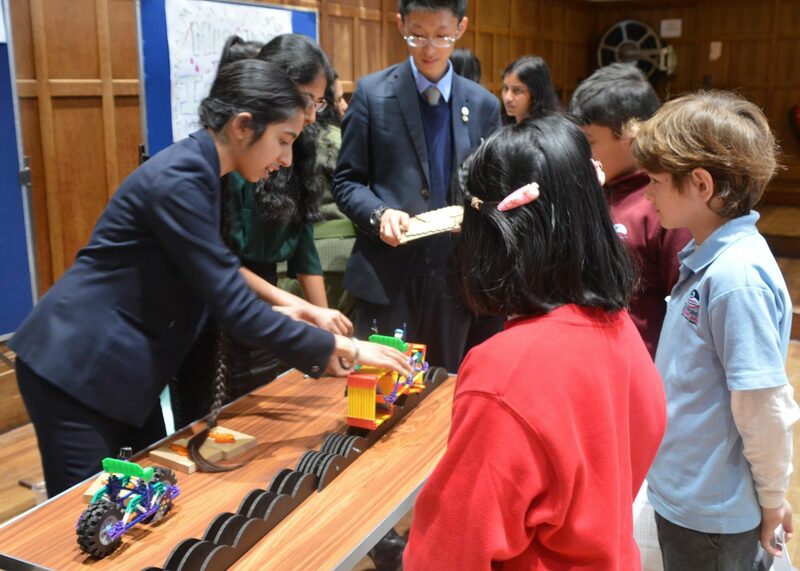 All involved in organising and taking part are to be congratulated.” She named Sonya Kalsi, Jude Panter, Swasthi Surendran and Alex Yan winners of the exhibition with their “Be There or be Square” stand which investigated the ideas of square wheels on vehicles. The pupils nominated “Asteroid Adventures” (Arjun Agarwala, Lottie Grant, Reece Khan and Eesha Raheel Choudhary) as their favourite stand. The visitors visited the chemistry, physics and biology zones in turn to collect stamps for their “passport” . 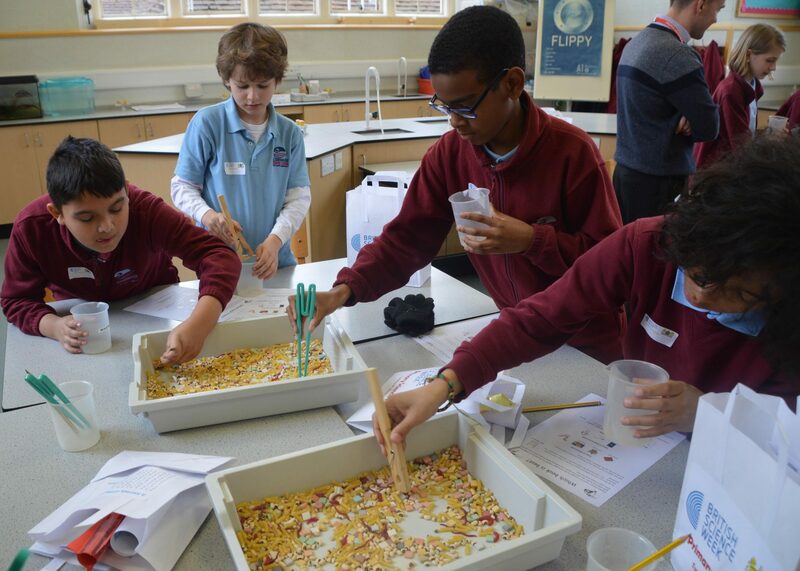 They were treated to a chemistry display which took them on a whistle stop journey through the periodic table (which is 150 years old this year). In physics they created their own rockets and launched them on the sports field, seeing which one could journey the furthest. The children followed the journey of Charles Darwin to the Galapagos in the biology zone. There he observed giant tortoises and lots of different finches; the children made tortoise bookmarks and took part in an activity investigating which shape of beak allows finches to feed more successfully. Visiting children and teachers enthused alike about the Science Fair, particularly about the creativity of the Lower Sixth. 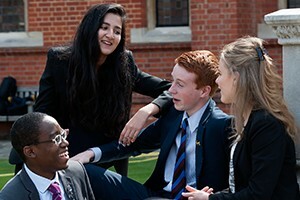 Our children really enjoyed their time at your school. 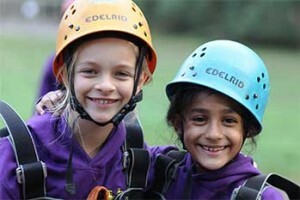 They were very enthusiastic on their return and keen to share their experiences from the morning. It was a very enjoyable and educational visit. 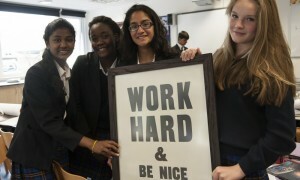 Please share our thanks with your pupils, who all did a fantastic job.